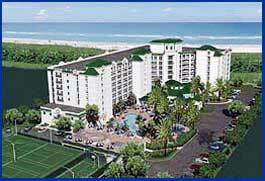 Delux Florida Timeshare for sale or rent! A must see! The Double J Endeavors (DJE) Gifts and Antiques & Collectables Shop offers you an opportunity to shop for unusual gifts for yourself and your friends and relatives. The offered craft gifts are quality items offered at reasonable prices. Many of these items are unique one-of-a-kind items and once an item is sold, others will not be available. So if you see something you like, don't wait too long to get it or your chance to own it may be lost. The antiques and collectables offered are again usually one-of-a-kind items, and once sold, will not be restocked. Occasionally a restocking of an item may occur if others like it are found, but this is not guarenteed. Additional information about a piece is offered when it is available. If you know information about a piece or can correct possibly erroneous information listed, please send this information using the e-mail address below. When space allows, sold items with their pictures and information will be left on the site to help others identify these pieces. Sold items will be marked as such.